New research has found that 54% of UK adults don’t have a will, and 5.4 million people have no idea how to make one. The research, from insurance company Royal London, also states that nearly 60% of parents don’t have a valid will – meaning they either don’t have one at all, or the will they do have is out of date. A will is the only legal way to specify what you want to happen to your child if you die before they’re 18. Here, we answer all the questions you might have about writing a will, and the consequences that can arise from not having one. Whether you want support writing a will yourself, or you’d like us to write it for you, Which? Wills can help – call 01992 879 622 today to talk to the friendly team. Wills aren’t just for elderly people, sick people or parents – they’re important for many adults, as unfortunately you never know when the worst could happen. 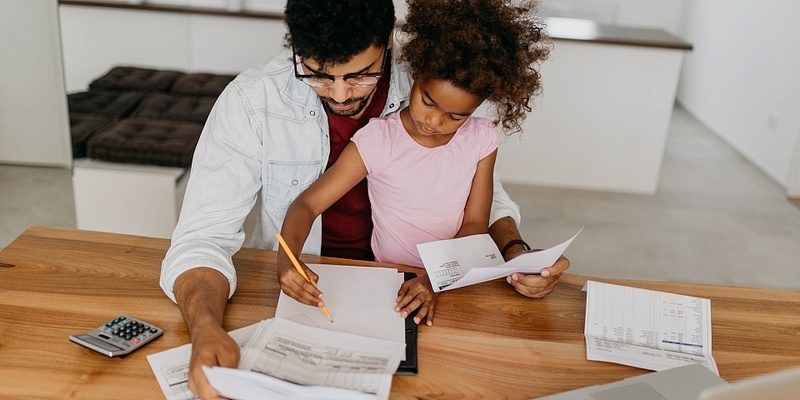 Saving your family stress: they may need to fill out extra paperwork and get legal advice if you don’t have a will – in addition to dealing with all of the other turmoil that comes with a family member’s death. Making sure your money goes to the right people: you’ll have no say if you don’t write a will. Appointing a guardian for your children: for parents with young children, a will is particularly important, as you’ll need to appoint a legal guardian. Otherwise the family courts will decide where your children go. Providing for children and step-children: putting money away for specific reasons, eg your child’s first car, and for specific people who aren’t direct blood relatives is only possible if you have a will. Leaving assets to your partner if you’re unmarried: unmarried partners won’t be entitled to anything when you die, unless this is specified in a will. Choosing an executor: to make sure that your plans are carried out when you die, you should appoint an executor you can trust. Writing a will: how do I do it? If you’d rather not seek out professional help it’s possible to write a will yourself, especially if your finances aren’t complicated. However, you will need to make sure that you have an original version of your will that’s free of errors and changes, and have it signed by witnesses, in order to make it legally binding. In England, Wales and Northern Ireland you’ll need two witnesses over the age of 18. In Scotland, you’ll need one witness who’s over 16. This is the most expensive option, but a solicitor will be able to make sure the document is legally binding and correct – which could save your family an inheritance tax bill if you have a large estate. Plus, if your financial situation is complicated – for example, you have overseas property, children from a previous marriage or you own a business that will need to be sold off – a solicitor is probably worth considering. The cost will vary, but expect to pay a few hundred pounds for a solicitor to write your will. Will-writing services such as Which? Wills tend to be cheaper than using a solicitor, but give you much more guidance than if you were to write a will yourself. It’s another good option if your circumstances are relatively simple. Make sure they’re a member of a recognised trade body, such as the Institute of Professional Will Writers or the Society of Will Writers. Be cautious with free will-writing services or those that insist on the sole right to execute your will after you pass away – in some instances such companies have charged expensive fees to administer probate. Many banks offer cheap or free will-writing services, but they can come with hidden fees. Watch out for clauses that charge fees to administer your estate, or those that charge a percentage of your estate for their services. What money, property and belongings do you have? You can leave cash sums to specific people, and also allocate your possessions and property. What debts do you have? These will be paid off with money held in your estate. Who do you want to benefit from your will? You can leave gifts to specific family members, friends – or even charities and businesses. If you have children under the age of 18, who would you want to look after them in the event of your death? Who will sort out your estate and make sure your wishes are carried out after your death? This is an executor, and should be named in your will. You can choose a friend, family member or a solicitor. The Royal London research found that a third of respondents had experienced a life event, such as getting married or having a child, since they made their will. But more than half of those people hadn’t updated their will to reflect this. If you get married, any previous will you’ve made will be automatically invalidated, so it’s important to keep it up to date if you want your wishes to be carried out. If you die without a will, your estate (your money, possessions and investments) will be divided according to intestacy rules. The process can be very complicated, and varies depending on whether you’re married or in a civil partnership, and whether you have children. You won’t be able to make sure that your estate is divided in any way that differs from the intestacy rules unless you have a will. Make a will online with Which?